Add up the number of trays each farmer orders. Each tray is $25. If the vegetable says "CUSTOM" You have to buy seeds. Give the custom seeds to the greenhouse. 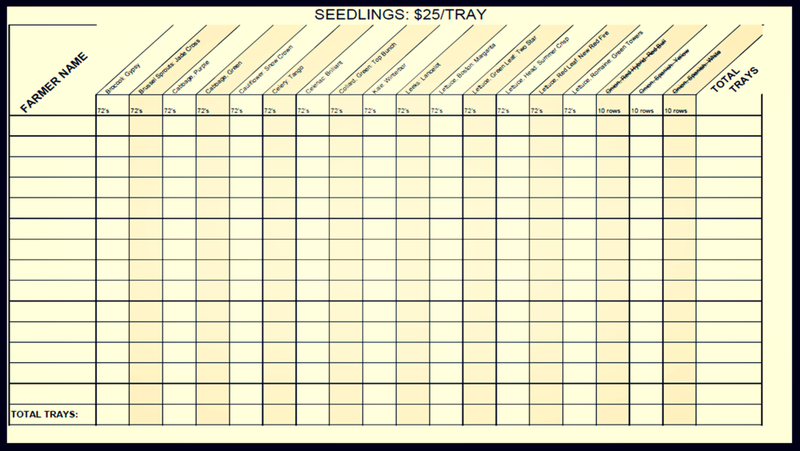 You can pay to have seedlings delivered.